I love Nintendo. 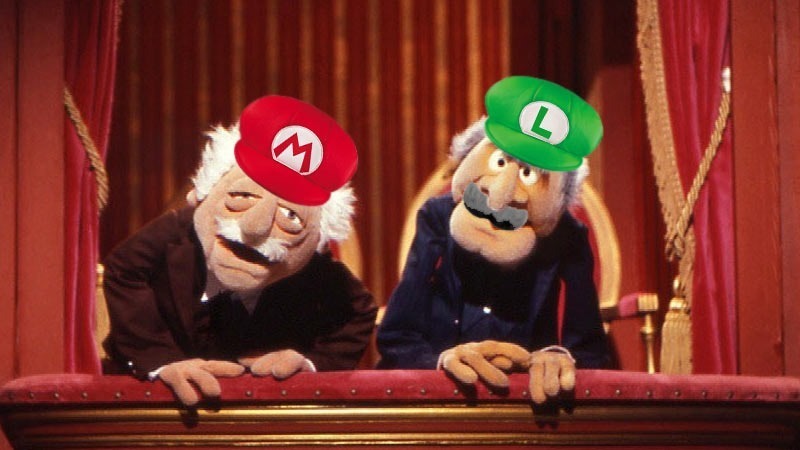 I love them to the point that when I get accused of being an Xbox fanboy, I get sad because I’m secretly biased to the house of Mario and Luigi. Crap, shouldn’t have printed that. But I have to admit, Nintendo has made some baffling decisions in the last couple of years. Decisions which are backwards, and hinder the company going forward. And that’s due to the inner workings of the company, which just doesn’t get it. Man. Speaking to Dromble, former Nintendo executive Dan Adelman explained how Nintendo’s traditional company structure had resulted in a culture with no firm decision-making. “They’re very traditional, and very focused on hierarchy and group decision making,” Adelman said of the company’s structure. Unfortunately, that creates a culture where everyone is an advisor and no one is a decision maker – but almost everyone has veto power. Even Mr. Iwata is often loathe to make a decision that will alienate one of the executives in Japan. That’s also all due to the company being Kyoto-based, a system of business that places strong emphasis on tradition. To get anything done at Nintendo, Adelman said that much prep work was needed, bringing in various groups to help sell an idea. A process which was harder for folks outside of Japan, as this would have to be repeated at several levels. “All of this is not necessarily a bad thing, though it can be very inefficient and time consuming,” Adelman said. The biggest risk is that at any step in that process, if someone flat out says no, the proposal is as good as dead. So in general, bolder ideas don’t get through the process unless they originate at the top. But one of the bigger issues, comes from the fact that the senior executives are all veterans of the glory days of Nintendo, and have yet to understand how the industry has moved forward since those days. “The most senior executives at the company cut their teeth during NES and Super NES days and do not really understand modern gaming, so adopting things like online gaming, account systems, friends lists, as well as understanding the rise of PC gaming has been very slow,” Adelman explained. Ideas often get shut down prematurely just because some people with the power to veto an idea simply don’t understand it. There is very little reason to try and push these ideas. Risk taking is generally not really rewarded. Long-term loyalty is ultimately what gets rewarded, so the easiest path is simply to stay the course. I highly recommend reading the rest of the interview, as it provides some great insight into the mindset of Nintendo. On the one hand, I understand the need to retain culture, and create products that keep in line with the quality experiences of the past. But on the other hand, I’m a firm believer in not being a slave to tradition. Tradition is essentially, the unnecessary baggage of the past. And with a massive pool of talent from around the world that is just waiting to be properly used, Nintendo needs to break free of the older way of thinking.